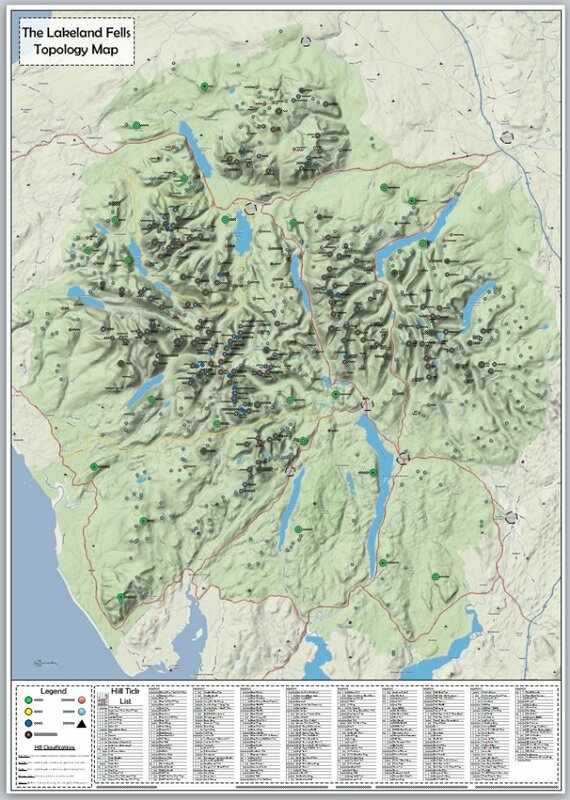 I had the pleasure of spending some time recently with Matthew Hillplodder, during which he spoke of his idea to create a topology map for the Lakeland Fells. 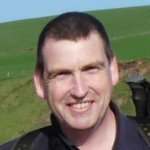 He has started the project, which currently covers the Far Eastern Fells, and provides him with an “at a glance” idea of which fells he’s completed and which he still has to visit. It is not as functional as Matthew’s map and it may not be as ideal for tracking your progress across the various fells and hill classifications, but I think it has its own appeal and usefulness. It is A0 in size, so when it’s printed it essentially becomes a wall chart; 1.1m high by about 0.8m wide. 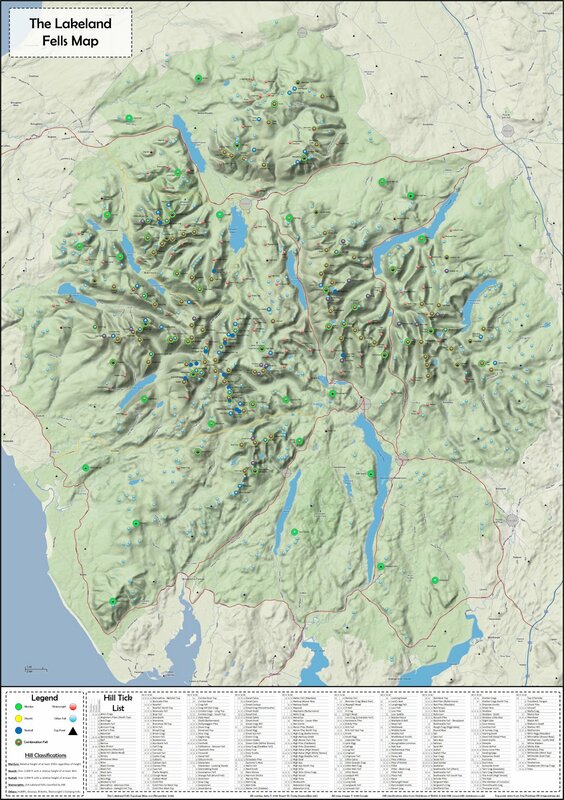 I have used Google Terrain maps as the background, onto which I have overlayed all the various hill groups (Marilyns, Nuttalls, Wainwrights, etc. ), using different coloured circles. Each hill group circle is slightly smaller than the last, so it’s quite easy to identify hills which fall into multiple classifications. As an added bonus I’ve added all the trig points as well. This hopefully provides a useful overview of the Lakeland Fells, not just the traditional Wainwrights. 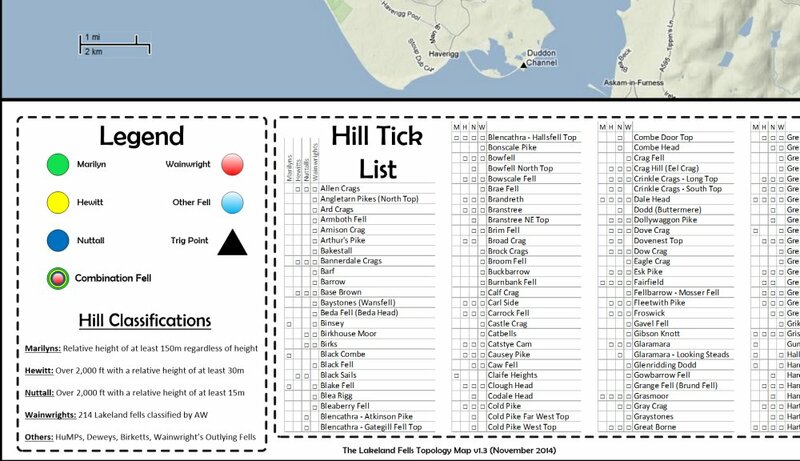 At the bottom of the map is a list of all the fells, and a box to tick once you’ve visited the fell. I had just enough room to include all the Marilyns, Hewitts, Nuttalls and Wainwrights. Here is a view of the Northern Fells, zoomed in so you can see how the map works in a little better detail. The map has been about three weeks in the making and many long evenings have been spent error checking and modifying. 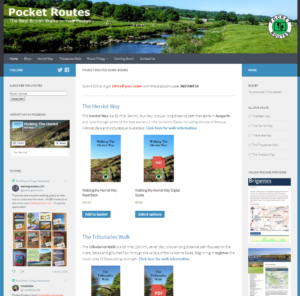 If you’d like a copy then click the button below, it will take you to a PayPal purchase page and once your payment has been processed you will be sent a link from where you can download a PDF version of the map, suitable for printing. There are various places on the web that will print A0 posters for you and even some high street printers will go to that size. The map is yours for £3. Hi there Stuart, I’m interested in a copy of your very impressive map here…. Can you produce it without the “Other Fell” light blue circles? No worries if that’s not possible, or an enormous amount of work. How can I pay you your fiver? Paypal? It’s all done in Visio, so removing the Other Fells is dead easy, just switching off that layer. Yes, ping me a fiver via PayPal to my email address (stuart at walkingplaces.co.uk) and I’ll email a PDF file back.